Mt. Manaslu is the eighth highest Mountain in the world, surrounded by the Annapurna and Ganesh Himal, Himchuli andSringi Himal ranges. 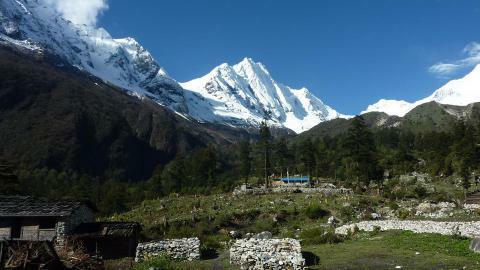 Trekking in the Manaslu region takes you to some of the most unspoiled and secluded areas of Nepal. The Manaslu Circuit Trek is the most popular trek here, connected to the world famous Annapurna Circuit Trek by crossing Larke La (5160m). The border of this trekking region is the Budhi Gandaki River in the east and Marshyangdi River on the west. 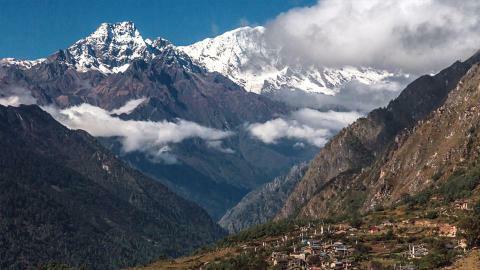 This is region attracts those who want to see some of the oldest and untouched Nepal. The beginning of the Malaslu region trek starts from the 1000 meters elevation and reaches up to the 5160 meters. The vast ranges of flora include pine, rhododendron, oak, and other sub-tropical to the alpine plants. The wild animals in this region are blue sheep, musk deer, snow leopards, himalayan black bears, hoary-bellied Himalayan squirrels, red panda, common leopards, wild dogs, Himalayan yellow-throated martin, porcupines, jackals, the Himalayan marmot, and more. Pheasant and raven can be seen from the trekking trails. Why not try this wild region for your Himalayan trek. Please, contact us for detailed information.